"One of the most important players of the Hungarian-American economic cooperation’s success story is Alcoa, bringing innovation-based, high added-value production into Hungary." 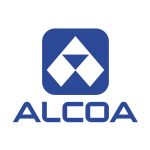 NEW YORK & SZÉKESFEHÉRVÁR, Hungary--(BUSINESS WIRE)--Alcoa (NYSE:AA), the inventor and global leader of forged aluminum wheels, is investing US$13 million to expand its wheel manufacturing plant in Europe, to meet growing demand for its lightweight, durable, low-maintenance aluminum truck wheels. The expansion of the Székesfehérvár, Hungary facility will enable Alcoa to produce twice as many Dura-Bright® EVO surface-treated wheels in Europe by early 2015, compared with current production levels. Alcoa’s new Dura-Bright EVO surface-treated wheel maintains all the benefits of its predecessor, the Dura-Bright® wheel with XBR® technology, while taking the wheel’s performance to a new level. The Dura-Bright EVO surface-treated wheel is 10 times more resistant to corrosion primarily caused by road salts and weather elements. 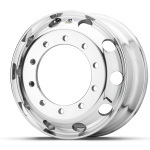 In addition, the wheel is up to three times more resistant to chemicals, including hydrofluoric acid, found in the toughest truck wash cleaning agents. This enables the use of a wider variety of cleaning solutions to simplify maintenance, while preserving the integrity and brightness of the wheel. Construction on the production line expansion began in January 2014, with completion expected in early 2015. It will create 35 new permanent jobs and approximately 215 temporary jobs during construction. The Hungarian Government will contribute US$4.4 million toward the construction through its Regional Operative Program, a government-led economic development initiative. Unlike competitive surface coatings that can crack, peel, corrode and dull quickly, the Dura-Bright surface-treated wheel allows brilliant shine to last even after years of use, without the need for polishing. Dura-Bright is not a coating, but rather a surface treatment that penetrates the aluminum and becomes an integral part of the wheel. Regular cleaning with commonly used truck cleaning products or with just soap and water will keep the wheels shiny, even after hundreds of washes and thousands of kilometers, reducing maintenance costs. 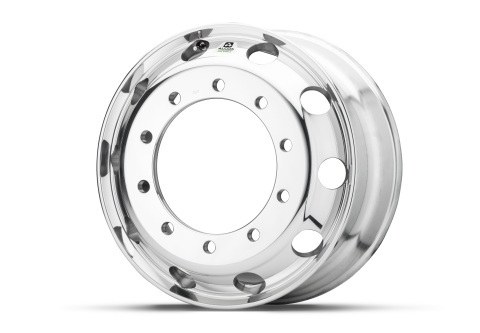 In addition, Alcoa’s wheels are made from one piece of forged aluminum, making them lighter and five times stronger than steel wheels, increasing payload and fuel efficiency. 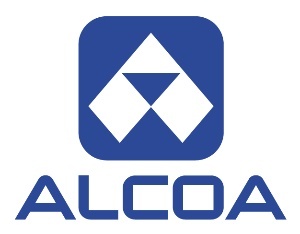 Alcoa has been the forged aluminum wheel leader since inventing the product in 1948. Alcoa Wheel Products is part of Alcoa’s value-add businesses, comprising Engineered Products and Solutions and Global Rolled Products. In 2013, Alcoa’s value-add businesses accounted for 57 percent of the Company’s total revenues and 80 percent of segment after-tax operating income. HITA was established by the Hungarian Government to promote the international business activities of Hungarian enterprises and to encourage foreign businesses to invest in Hungary. The most important relations of the Hungarian Investment and Trade Agency are focused, in line with the Széchenyi Plan and the foreign trading strategy, on retaining Hungary’s traditional export markets as well as on gaining a foothold on new dynamically growing markets.